There’s a whole range of reasons you don’t want to be bitten by a black widow spider, but you probably wouldn’t think that losing the ability to pee is one of them. But that’s what may have happened to a man in Canada. After he got a suspected black widow bite on his foot, he developed a condition called acute urinary retention, meaning he couldn’t pee despite having a very full bladder, according to a recent report of his case. The 50-year-old encountered the spider while he was walking through tall grass at his cottage in southern Ontario, the report said. 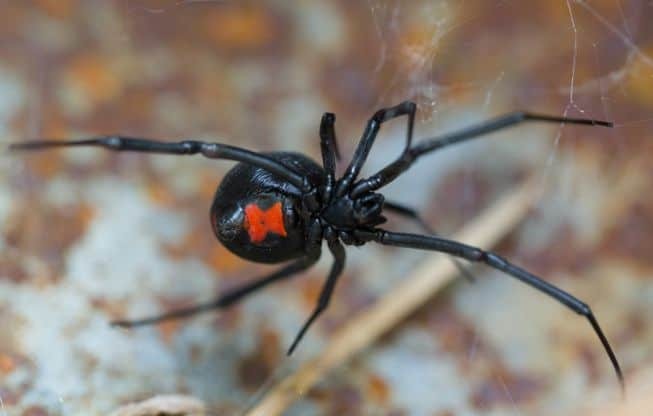 Black widow spiders are rare in Canada because the arachnids are typically found in warmer climates; however, climate change may be driving the spiders farther north, Live Science reported in August. But two hours later, the man felt excruciating pain in his foot. And by the next morning, the pain was so severe — and he had also developed cramps in his abdomen — that he went to the emergency room. Doctors there thought his abdominal pain was caused by kidney stones and suspected the spider bite was just a coincidental occurrence, Carere told Live Science, and the man was sent home. However, he returned later that day because his abdominal pain had worsened, so doctors sent him to a larger hospital for additional testing. By the time the man arrived at the emergency room where Carere treated him, he was in a lot of pain and sweating heavily, and both of his eyelids were swollen. His blood pressure was extremely high and a CT scan revealed that his bladder was massively distended, according to the case report. The release of one such neurotransmitter, called acetylcholine, may be one reason why the man developed urinary retention and had difficulty peeing after the spider bite, Carere said. He also noted that another factor may have been the man’s age: The 50-year-old likely had some sort of underlying benign prostatic hyperplasia, or enlarged prostate. Carere noted that the doctors can’t definitively prove that the spider bite was the cause of the man’s urinary retention. Indeed, they couldn’t find any previous cases of this happening in the medical literature. The man was hospitalized for two days so that doctors could insert a catheter to drain urine from his full bladder and get his elevated blood pressure and pain under control. By the time he went home, he was able to pee without any problems.